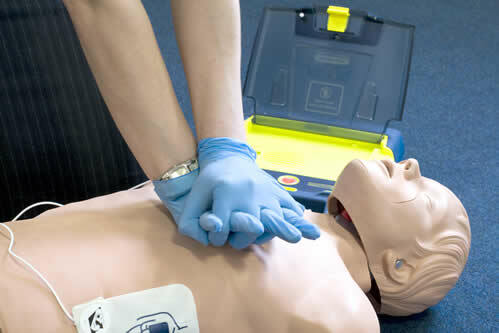 First Aid Training in Sunderland – Invaluable First Aid skills delivered in a positive learning environment. The Health and Safety (First-Aid) Regulations 1981 require employers to have suitable First Aid arrangements so that employees receive immediate assistance if they are injured or become ill whilst at work. HSF Training Ltd provide First Aid Training in Sunderland and throughout the North East. the option of either awarding body accredited (Levels 2 & 3) or HSF Training Ltd certified courses. In order for an employer to ensure their First Aid arrangements are adequate, they should conduct a first aid needs assessment, enabling them to identify, amongst other things, the number of first aiders and level of training required. They also need to ensure the training provider they select is competent. We understand our clients require assurance that we are a suitable first aid training provider and are happy to discuss your requirements with you, assist you with your first aid needs assessment or provide you with a copy of our Quality Manual which details the qualifications, assurance and verification systems we have in place. Please email or call us for further information. With so many first aid training courses available, why not call us to discuss your company’s requirements or to book training? Alternatively, please click on any of the courses on this website to learn more about what they offer. Studies have shown that the use of an Automated External Defibrillator (AED) can increase a non-breathing casualty’s chance of survival by 50-70%. This half day course provide delegates with in-depth training in the use of these portable life saving devices. This informative and practical two day course ensures existing First Aid At Work certificates are renewed and maintained and can be taken up to 3 months before and up to 28 days after the expiry date of your current certificate. First aid training provides individuals with skills that can save lives and promote recovery in a casualty. This informative and enjoyable three day course provides in-depth coverage of possible workplace accidents and illnesses and their treatment. This informative and practical one day course is an excellent introduction to first aid techniques. This two day course provides first aid skills for dealing with emergency situations involving babies (0-12 months) and children (1-onset of puberty) and meets the standards set in the Department of Education’s Statutory Framework for the Early Years Foundation Stage (0-5 years). It is also ideal for anyone wishing to gain the confidence to manage first aid emergencies involving young children, such as parents. The Health and Safety Executive strongly recommend that those first aiders undertake annual refresher training. This half day course provides delegates with theory and practical elements which will help keep their skills and knowledge up to date.